Time manager makes it quick and easy to schedule group meetings, calls, interviews and more. 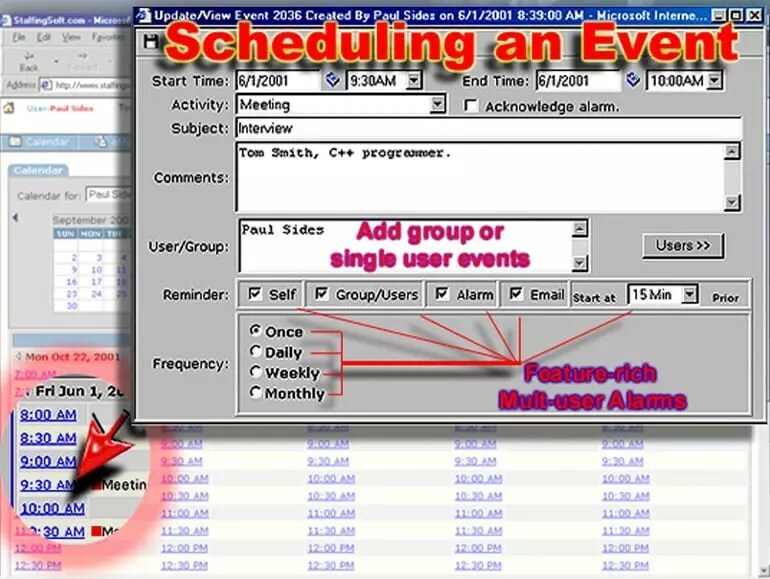 Simply click on the time you want to schedule the tasks, then complete the fields and add individuals or groups to the tasks. Remote access via the Internet.